In an effort to develop Islamic alternatives to conventional investments, Muslim scholars have advocated new economical instruments, which fit with Sharia prohibition of usury and encouragement of shared risks. Islamic banking is growing, not just in Islamic countries, a number of multinational banks in the European continent, have opened branches or windows dedicated to the practice of Islamic banking. Sukuk, or Islamic bonds, is one example of what such banking can offer; it is the Islamic answer to conventional bonds, an assets-based investment that can provide sovereign governments and corporations with a huge liquidity pool, or in a simpler terms, it is a kind of remortgage deal, but 3with a profit-sharing scheme, instead of a debt with a fixed interest rate. The word “bond” is misleading as sukuk offers the investor partial ownership of the assets, and represents shares in the underlying assets. While Western bonds are considered a safe form of investment with a guaranteed fixed rate, Islamic sukuk, as with any Islamic investments, holders gain a share of the profits and accept a share of any loss; also, holders share the costs related to maintaining the assets, which can potentially make sukuk a low return investment. In general, there are different types of sukuk, but two types are most common: Musharaka sukuk, which give investors a share in a venture’s profits, and Ijara sukuk, which involves a transfer of tangible assets such as real estate from one party to another. Following the independence of South Sudan in 2011, the cash-stripped Islamic government of Sudan launched a sale of Islamic bonds in January 2012 offering higher than usual yield (annual return of 20%) to raise funds for the government. Now, Egypt, under the leadership of the Muslim Brotherhood’s Morsi, is trying to imitate the Sudanese experiment by using sukuk as a solution for the country’s budget deficit. It is estimated that Egypt could raise around US$10 billion a year from the Islamic bond market; an international issue could help the government replenish its dangerously low foreign currency reserves. For the Muslim Brotherhood, sukuk is an innovative instrument for the advancement of Egypt’s economy, while Salafist parties agree with the principle of sukuk, they want to ensure that all the details within the proposed law are designed in accordance of Sharia. Following a heated debate in the Shura Council (80 % of its members are from the Islamists camp), President Morsi later referred an amended draft of the law to al-Azhar, who approved the law after amending some of its articles. While the religious debate over the law has now been settled, its economical implications have been overlooked under a barrage of accusations and counter-accusations between the Egyptian government and the opposition. Unfortunately, there was no proper public consultation or explanation of the law; consequently, the Egyptian public understands very little about its details, possible risks, and pitfalls. 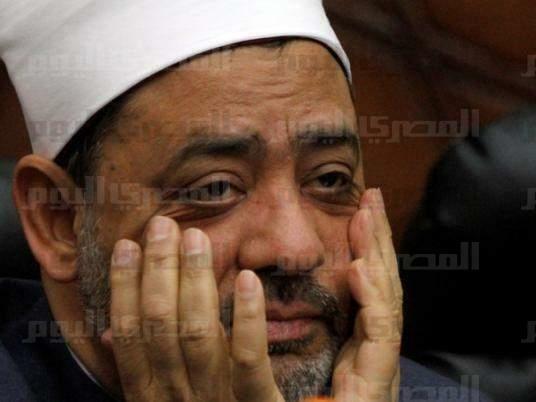 Leaks from al-Azhar ruling suggests that they prohibited the using of any government owned assets in raising Sukuk. If true, then it defeats the entire purpose of Sukuk, with the possible failure to raise the desired liquidity as the Brotherhood leadership aims to achieve. So, in short, the protection of owners could render sukuk un-Islamic, while the lack of protection could make its risks for investors much higher; this is a catch twenty-two for many Egyptian investors. Sukuk always catch headlines when it sells, and raises enough funds, but very few follow its progress and outcome at maturity date, and whether it was a rewarding investment or not. There are many reports about Sukuk defaults and its implications that aught to be studied before Egypt embark on this experience. Questions must be raised about how Egyptian courts will deal with any future cases of default, and whether the new law sanction any repurchase protection. It is not enough for the Islamists to cite the success of Sukuk in other countries as enough reassurance for the Egyptian public; it is true that countries like Turkey and Malaysia have increased their sukuk investments, but the micro financial details varies in each country, with some aspects that can be considered un-Islamic in the eyes of some scholars. In addition, these countries are not solely dependent on Islamic investments for developing their economy; they have a huge conventional investor base. In fact, the world total Islamic finance is still less than 1% of the global banking assets, probably due to several problems being faced by Islamic banking. Economy is the science of developing and effectively managing the country’s resources, and balancing it against the demands of its people. Not every “halal” measure is good to the economy; sukuk can be a useful way to generate cash, but it is a not the Holy Grail that will save Egypt. The new law may be acceptable from the religious side, but it should also be accompanied by transparent procedures that explain the risk and benefits to customers, robust bankruptcy laws that ensure the rights of investors, and a broader multi-modal approach that can solve Egypt’s economic woes. This entry was posted in Egypt, Islam and tagged islamic sukuk, middle-east, religion. Bookmark the permalink. When it comes to money – be cautious! Thanks ahmet. that is what I wrote, the aim of Sukuk is to provide halal investment, but my point is it can be very risky investment, also to make it safer, it will not be 100% halal. Believe me, at all cost it could be less risky than conventional bonds. It has some short term risks but it does not create economical bubbles anyway. Risk, is one of the factors in economy and it must be there. This is one of the reasons why Islam prohibits interest (riba).